So for the Christmas holiday, My two brothers, their wives and children, my wife, son, and myself all converged on Mama and Papa’s house for about five days. Fortunately, we all get along very well. But, my brothers and I have to debate the nerdies things. We always do and hey, why not share it with you. A quick history before we get into ti for real—the three of us grew up die-hard Star Wars fans. The very idea that the Star Trek franchise could touch Star Wars was foreign to us as children. 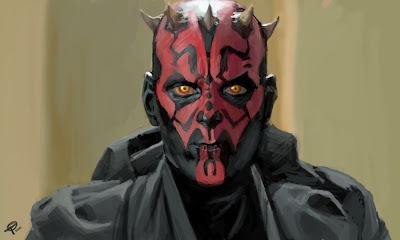 But a funny thing has happened since 1999 saw the release of Star Wars: The Phantom Menace. The scales have started to shift. 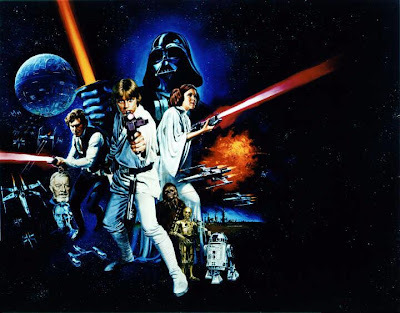 So I threw out the wild claim that I thought it likely that if you ranked all the Star Wars (theatrical releases only, and we excluded the animated Clone Wars film since that was really a part of a TV series) films and all the Star Trek films on a 4-star system, and then averaged them, that Star Trek might actually come out ahead. My brother Craig thought it a ridiculous claim but my brother Arne wasn’t so sure. So, yeah, we’re that nerdy. We sat there, just the three of us, and ranked all of the films in both series carefully. Now I’ve put it into numbers. One point for every half-star a film earned in our rating. The maximum number of points then is 8 and the lowest possible score was 0 for absolutely nothing to offer the world. 8 points for revolutionizing the way films were made. While not great pacing or dialogue or acting, one can’t deny the cultural impact of this film. Full marks. 8 points for doing the unthinkable, while not revolutionizing the industry the way the original did, the craftsmanship is improved on all levels and weaves a more complex and intricate tale. Full marks again! Star Wars is off to a near unbeatable start! 5 points or two and a half stars. One of us thought it should get a full three stars but the other two felt it wasn’t that good. A lot of missed opportunities, clunky storytelling mistakes, and too many contradictions to what had been established in the previous two films. While still enjoyable, just not nearly as good as the first two films. 3 points. Most of those are attributed to the second most exciting lightsaber duel in all of the Star Wars movies (the first is in Empire, in case you didn’t know). There are some other interesting things going on, but really this one falls flat from start to finish. 1 point. Again, some disagreement here again. But we wound up at only a half star as two of genuinely couldn’t remember an enjoyable moment in the whole film. I know that I cringed through every “romantic” scene and found that Obi Wan was simply walking through a plot without ever having any impact upon it. 5 points. Again, disagreement, but the compromise was that this was about as good as Return of the Jedi and that it tried to rescue the previous two films before it, although it did fail. Character act wildly impractically and all because the plot dictated it. Just doesn’t make a lot of sense. 6 points. 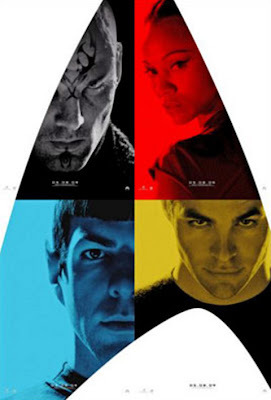 I thought it deserved more as a it’s a good work of science fiction, but it’s not a great Star Trek movie. I can’t argue with that. It’s got some great bits and is cerebral to a fault. Still, a good movie. 7 points. I argued that this deserved full marks, but was argued down. Agreement that this movie has the best script, direction, and acting of the bunch. Also, it’s story is the most personal to Kirk. 5 points. I felt this should be lower as my feeling is that it betrays almost everything established and great about Star Trek II, but both brothers argued against me. They seem to like it, and I don’t know why. But, we settled on two and a half starts. Watchable, but not great. 6 points for enjoyment. 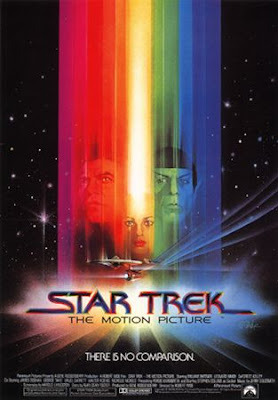 Though dated now, this was just a fun movie that Star Trek fans and normal folks alike could enjoy from start to finish. A solid showing for sure. 1 point. The low point of the franchise for sure. It still had a decent sub-plot with Bones, so it got a half star for that. 7 points. About on par with Wrath of Khan. Intricate plotting and great character moments. Also, a unique kind of story for Star Trek while still feeling like a Star Trek movie. Very high marks, but still not full marks. 5 points. It’s a terrible task to try and make a movie bridging the gap between the two generations of crews, but they did some things right here by going for entertaining rather than, you know, logical. The plot devices don’t really work if you look at them closely, but who cares! We wanted to see Kirk and Picard fight the bad guy. A pretty fun movie overall but far from great. 6 points. The Borg kill a lot of things here and the movie flows nicely and is exciting. 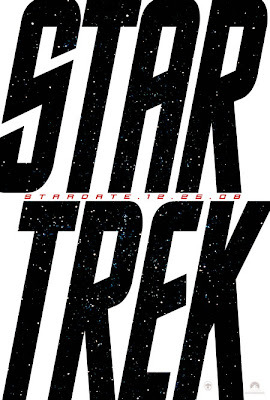 It’s fun from start to finish and has some nice character moments for Picard. A solid movie we felt. 3 points. The worst thing to say about this one is that it’s forgettable. It feels like an episode of the TV series. It’s not terrible but it’s not really all that good either. 2 points. I’m probably one of the few people on the planet that liked this movie. But considering how many problems both my brothers had with it, I could only move up from the 0 points Arne wanted to give it to 2 points, or one star. Ouch. 7 points for the new relaunch. The characters are acting great and dramatic, it’s fun and punchy and fast-paced. We docked it a half star because of a few plot holes that don’t really make sense. But overall, this and Wrath of Khan were the clear two favorites. And we wound up with 55 points for Star Trek over 11 films. Star Wars’s average rating was 5. So, there it is, we mathematically proved that the two franchises are exactly equal in quality. The debate is over. And will never be discussed in nerd circles ever again! We did all guess, that the next Star Trek film may put that franchise over the top. Highly likely considering how good this reboot was. And now that the debate is finally settled I found that I was left just looking at that average rating and found myself a bit sad that the average rating of something I loved so much as a child was only two and a half stars.